Define Your Target Market for Lead Generation Success. We write a lot about the importance of data and database marketing when it comes to lead generation. The reason for that it is typically the primary ingredient of a successful telemarketing campaign. Without good data, it’s unlikely you will generate positive results and a return on your marketing investment. We therefore recommend that you define your target market for lead generation success. A good proposition to the wrong target company or decision-maker will take you nowhere. Yet, an average, or even undifferentiated, proposition that’s targeted at someone that’s looking for that kind of service may carry you through. What can we learn from this? The key is to really put some thought into defining what type of company would be most likely to use your products or services. Identify the right decision-maker that either specifies the requirement for your solutions and / or the person that actually commissions the project and signs the cheque. This may sound obvious. However, too much time and money is wasted, when undertaking direct marketing campaigns, through ultimately reaching out to organisations and individuals that are unlikely to buy for one reason or another. Whilst targeting new markets may be desirable, have you exhausted the potential within current sectors? Are there other companies you might target within the same sector or within a connected field? For example, if you want to develop business into the pharmaceutical sector but have no formal compliance or pharma experience, it could be tough, time-consuming and expensive to break into that industry. It’s not insurmountable but you need to go in with your eyes open. Where possible, you need to work to your strengths and answer a few simple questions. In which areas does your business specialise? What good work have you done for individuals with similar job functions that can act as reference points? Do you have well known clients in particular fields that you can name-drop when running lead generation activity? Do you have an innovative solution for a sector-wide problem? Are there market or legislative drivers or changes in particular industries, or to specific job roles, that support adoption of your solutions? Ideally, select an industry that you or your colleagues understand rather than one that has high barriers to entry. Once you’ve chosen your target market, work out which specific job role would typically buy. Who has the pain? Why do they need what you offer? In practice, it could be more than one job function. It generally pays to work out the role that would most likely drive purchase. Who would champion the need internally? In larger organisations, it may require a bit more work since you may get referred and bumped around. However, the more you can tightly define the individual that buys, the less time and money you will waste in the process. Direct marketing convention tells us that we should start as high up the decision-making tree as possible since they are likely to hold the purse strings or at least approve budget spend. Unfortunately, once again in larger companies, where higher spend is likely to be forthcoming, these people can be busy and well-shielded from persistent telemarketers. Therefore, spend some time thinking about who has the problem and whose life would be made easier if they were to take your solutions on board. These people could conceivably be your champions within the organisation. We always stress that winging it isn’t an option. If you’re undertaking a telemarketing campaign as part of lead generation, you can, of course, start a call by simply asking who the best person is to speak to regarding your proposition. The problem is that many larger companies have no name polices and, even in smaller firms, you’ll be starting on the back foot when it comes to the likelihood of being put through to the correct person. So, devote some time up front to defining your target market and the profile of your archetypal buyer. You won’t regret it, especially when it comes to evaluating the success of and ROI for, your lead generation activity. GSA helps businesses become more effective in their marketing and business development. We run outbound telemarketing campaigns into the UK, Europe and further afield. 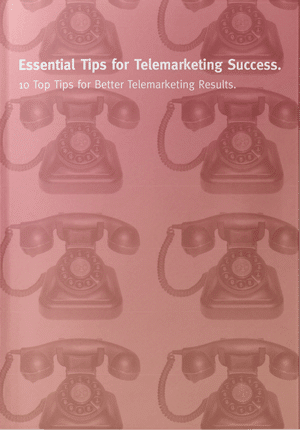 Also, with our experience, we provide telemarketing training to help sales teams improve their results. If you’d like to know more, give us a call. Are You Wasting your Event and Exhibition Investment? Are you Failing your Customers through Poor communication?